Stimpson is a leading manufacturer and supplier of eyelets, grommets & washers, hole plugs, snap sets, and many other types of metal fasteners and related attaching machines. Stimpson’s entire metal fasteners product line is unmatched for quality and supported by on-time delivery. Proudly celebrating over 160 years in business, Stimpson is ISO 9001 certified and maintains the largest inventory in the industry, shipping over 2 billion parts annually from their 278,000 square foot facility in Pompano Beach, Florida. 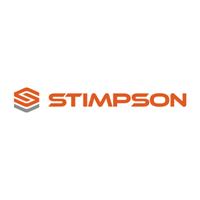 For more information visit http://www.stimpson.com, call 877-765-0748 or e-mail us at customer_service@stimpson.com.